Profiling cookies. Profiling cookies are used to identify (both anonymously and otherwise) user preferences and improve the browsing experience. The website www.secirealestate.it does not use this kind of cookie. The website www.secirealestate.it uses certain components transmitted by Google Analytics, a web traffic analysis service provided by Google, Inc. (“Google”). These cookies are collected and managed anonymously to monitor and improve the services of host sites (performance cookies). Certain cookies (session cookies) are active until the browser is closed or the user logs out. Other cookies “outlive” the closure of the browser and remain installed on the user’s computer during subsequent visits. These cookies are known as “persistent cookies” and their expiration is defined by the server at the time of installation. In certain cases an expiration is defined, in other cases the cookies have no expiration time. www.secirealestate.it does not use persistent cookies. 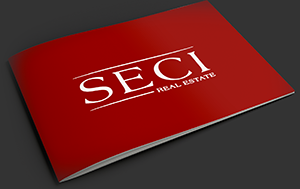 However, when browsing the pages of the website www.secirealestate.it users may interact with sites operated by third parties which may install or modify permanent and profiling cookies.